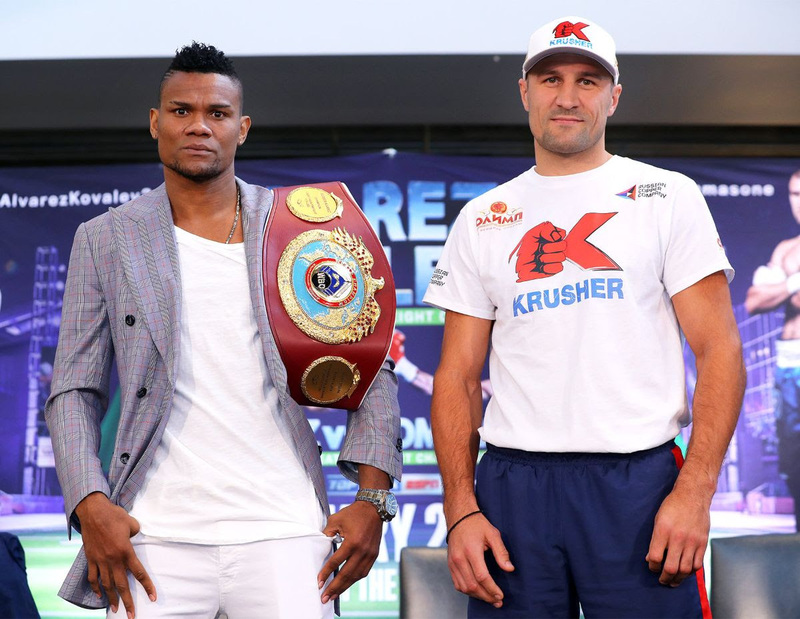 At midnight ET on ESPN+, Eleider “Storm” Alvarez will attempt to repeat the deed when he defends his WBO light heavyweight world title against former two-time light heavyweight champion Sergey “Krusher” Kovalev. Back in August, Alvarez came from behind to starch Kovalev with three knockdowns in the seventh round. And, in the ESPN+ co-feature, 2018 Prospect of the Year Teofimo Lopez (11-0, 9 KOs) takes on former world title challenger Diego Magdaleno (31-2, 13 KOs) in a 10-round lightweight fight. In the ESPN main event (10 p.m. ET), Oscar Valdez (24-0, 19 KOs) defends his WBO featherweight title for the fifth time against Carmine “Mr. Wolf” Tommasone (19-0, 5 KOs). In the ESPN co-feature, Richard Commey and Isa Chaniev will duke it out for the vacant IBF lightweight title with the winner set to fight unified champion Vasiliy Lomachenko later this year.